On Sävö you can live very close to the nature, sleep in the open air shelter or put up a tent. But you can also check in at the cosy hostel. It is part of Hostelling International. On the northern part of the island there are two cottages for rent, both of them at a very basic standard. The hostel was tastefully renovated only a couple of years ago. It contains 35 beds. The houses were originally built in the 1870’s. The buildings used to be vessel pilot’s residence. The two small red cottages are beautifully situated close to the sea. The standard is very basic. There is no running water nor electricity. Water is brought from the farm “Sävö gård”. 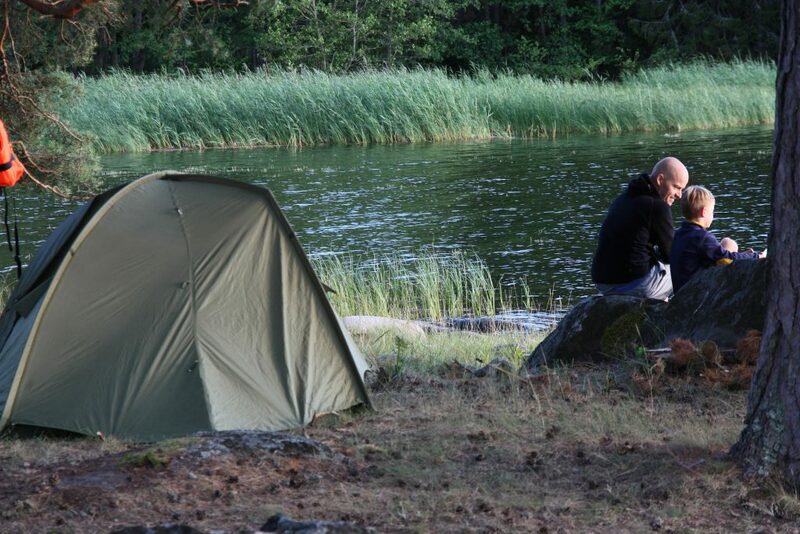 You can put up your tent at Lägerplatsen on the northern part of the island or at Huvviken. There is also a toilet and a fire place at Lägerplatsen. While camping at Huvviken you use the fireplace and toilet near by. Since there are cows and sheep grazing freely on the island it is wise to camp within the fences that surround the two camping spots. 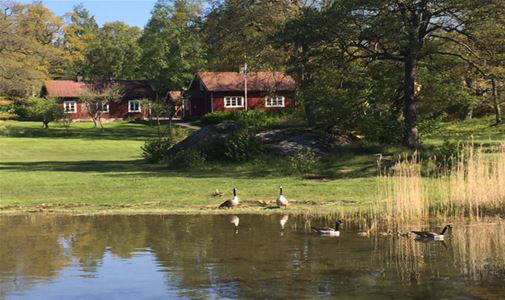 At Lägerplatsen – place your tent behind the cottage. Do not camp on the fields where we harvest hay for the sheep. 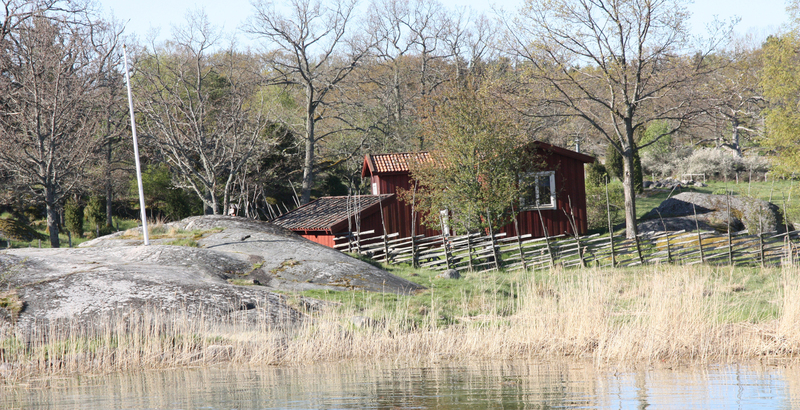 The camping site at Huvviken. There is a nice little open air-shelter on the northwest side on the island. There is also a fireplace and a toilet.